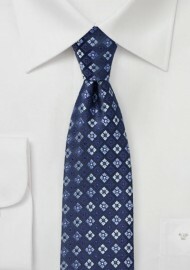 You simply can't go wrong having this tie in your accessory collection. 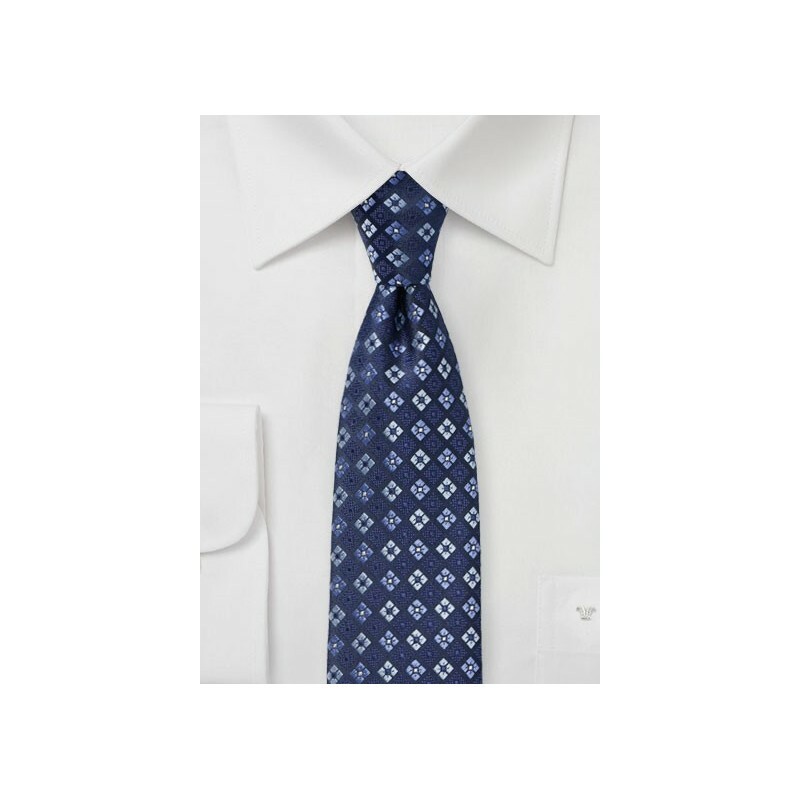 The classic blue palette paired with woven diamond check looks fantastic no matter the shirt you decide to wear for the day. To dress this tie up to the nines we suggest a midnight blue pin striped suit, white shirt, and brown belt and matching brown dress shoes.